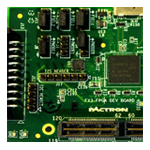 Pactron, in conjunction with its clients covers the entire product development lifecycle. Pactron combines state of the art technology with engineering expertise, structured processes, and deep domain experience to deliver innovative products. Our technical insight comes from years of market and customer understanding. Our integrated approach keeps critical disciplines in full communication, minimizing cost and valuable time, while moving through the product lifecycle.